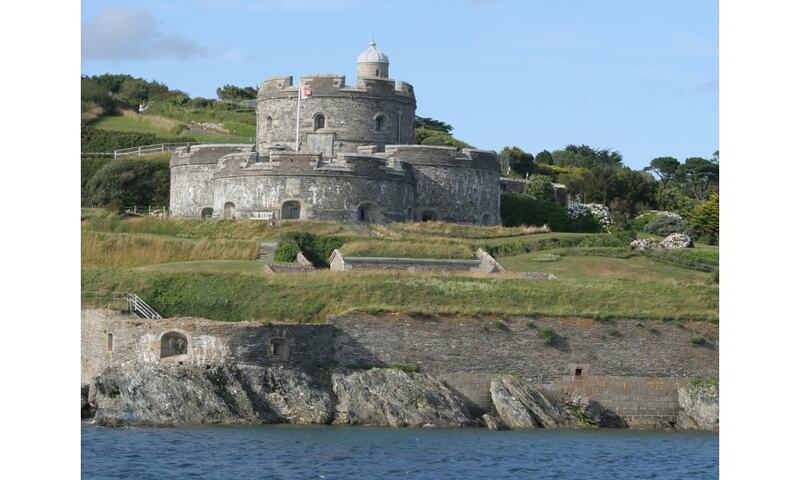 St Mawes Castle is an artillery fort constructed by Henry VIII near Falmouth, Cornwall, between 1540 and 1542. It formed part of the King's Device programme to protect against invasion from France and the Holy Roman Empire, and defended the Carrick Roads waterway at the mouth of the River Fal. The castle continued in use as a fort through the 18th and 19th centuries. After 1905, however, St Mawes' guns were removed, and between 1920 and 1939 it was run by the state as a tourist attraction. Brought back into service in the Second World War, naval artillery and an anti-aircraft gun were installed at the castle to defend against the risk of German attack. With the end of the war, St Mawes again returned to use as a tourist attraction. Historian Paul Pattison has described the site as "arguably the most perfect survivor of all Henry's forts".